Here for sports communications, international development, social media, Shakespeare, hockey, and Thai food. Quidditch Canada held our first-ever national championship on March 28th & 29th in Burnaby, BC! I made a Storify of some of my livetweets during the championship final. It was an amazing feeling to sit in the stands to cover a match and hear so many people – most of whom had never seen a quidditch game before – laughing at the snitch and cheering for goals. Can’t wait to get bigger and better! We did it! Myself and the Quidditch Canada Events Director Megan Stacey just finished unloading the car from the Eastern Regional Championship in Kingston this past weekend. The event was a huge success – finished early(! ), no major injuries, and everyone seems to have had an amazing time. Our work isn’t quite over – there’s feedback to gather, follow-up media, photos to sort through, and of course a few bruises and scrapes to ice. I livetweeted the finals match between McGill and Carleton, and man – livetweeting never gets old, especially in a sport as fast-paced as quidditch. Goals were happening faster than my fingers could move, but I’m glad that people who weren’t there were able to follow along and experience even a little of the excitement of the final match. I Storify’d my livetweeting of the finals match, and definitely had fun with it. 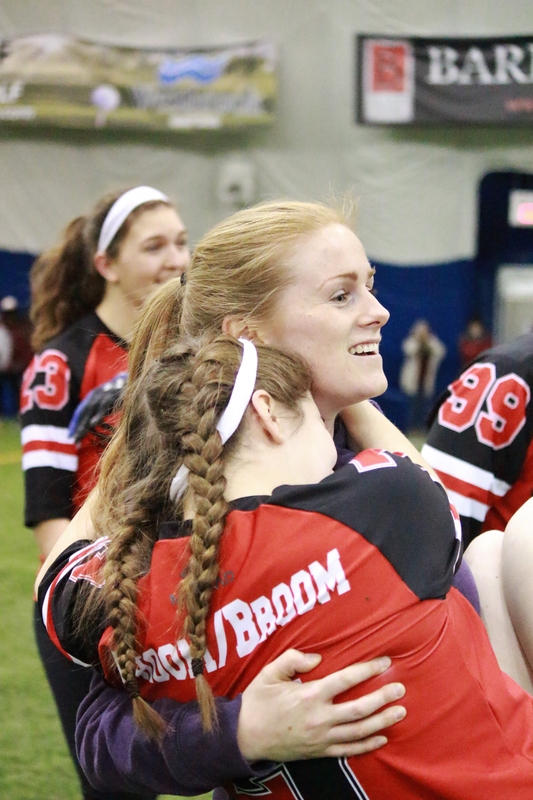 McGill emerged victorious, and will have a chance to defend their title at Nationals in Burnaby on March 27th-28th. I know I can’t wait to livetweet that game, and many more in between. It’s been a busy time at Quidditch Canada, as we’re in the home stretch for not one but TWO regional championships, both landmark events. Western Regionals (February 1st in Moose Jaw, SK) will be the first time we’ve ever hosted an event west of Ontario, and Eastern Regionals (February 7th-8th in Kingston, ON) is set to be the largest ever quidditch tournament in Canada. There’s a LOT of preparation that goes into these kind of events – all five of our directors have been working on them for months. Our Membership Director Jill has been hard at work helping players and teams register and prepare to come, and our Gameplay Director Chris & the rest of the gameplay staff have been coming up with ranking algorithms, training referees, and deciding on tournament formats. Our Director Tegan has been steering the planning and finances, and our Events Director Megan has been putting together the whole opera – venues, schedules, volunteers, social events, and everything under the sun. We’ve all been orchestrating rules for new teams to allow everyone who wants to attend to make it. And our staff, from assistant tournament directors to refs to graphic designers, have been putting in long hours. The Quidditch Canda communications department is looking for a whole host of awesome, creative volunteers for this upcoming season – if you’re a photographer, videographer, translator, writer, or blogger, I want you on my team! You can find all the applications here. Staff Writer/Blogger – We’re going to be doing something really interesting on the site: we’re going to have clever analysis and great league content, and we’re also going to have fully-integrated personal blogs as part of our regular coverage. We’re looking for creative folks to go beyond current quidditch coverage and bring us #hot #takes and more analysis than you can shake a PVC broom at. 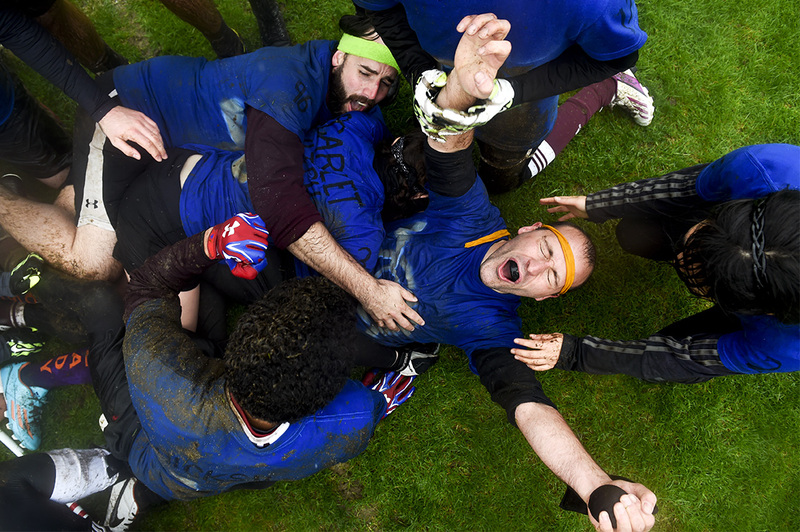 Staff Photographer – Pitch your tripod with us and help us show the many faces of quidditch! Staff photographers will cover games and tournaments and work together with comms staff to make fun and beautiful campaigns. You’ll make our game look prettier than we’ve ever known it could be. Videographer – Canada’s been behind the pack on video coverage of quidditch, and I want to help change that and bring us right to the front. This goes beyond just game footage (although we’ll have that too). Help us create highlight reels, player interviews, video campaigns, and all kinds of amazing moving picture tricks. Translator – I’m looking to create a crack team of bilingual rock stars to help make our league fully accessible no matter which official language you speak. Translation is code for expansion, inclusion, and clever wordplay. This won’t be all rote word-for-word translation of boring administrative policy posts – we’re going to have fun, engaging content in both languages. Apply là–bas! The organizing staff for Canada Day Fantasy 2013 in all their exhausted glory. Photo Credit: Rithy Min.